Oil giant BP plc (ADR) (NYSE:BP) has moved to a US court seeking to have Patrick Juneau who was appointed by a court to administer the Gulf Oil Spill claims replaced, citing conflict of interest. The company claims that the lawyer, who had previously represented some claimants, is approving claims in a manner that isn’t justifiable. This request comes after series of court battles by the company that sought to bar payment to more than 100,000 claimants who were affected by the gulf oil spill in 2010. In previous attempt, BP plc (ADR) (NYSE:BP) had moved to the US Supreme Court in a bid to halt payments to businesses awaiting the verdict in its appeal. However, the Supreme Court declined to grant the request declaring that the businesses affected by the disaster don’t have to prove direct damage. In its latest court filing, BP plc (ADR) (NYSE:BP) is asking a US District Court based in New Orleans to appoint a neutral administrator to administer the claims. They further said that lawyer Juneau should have come clean on his previous role before or immediately after being appointed to the position. 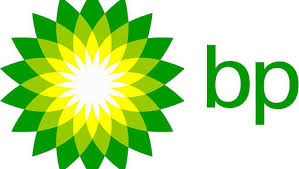 In an elaborate article by Reuters, BP plc (ADR) (NYSE:BP) had expected all the claims to stay within $7.8 billion. However, with Juneau in charge, and no parameters put in place to control the total figure of the claims, the London based oil multinational company fears that the amount could grow beyond $9.2 billion. Fortune has said that a report by WWL-TV indicated that the least amount in claims so far is $900 with several figures going well over $60,000. Even though some of the claims have been rejected, the ones that have been approved have also raised eyebrows. In another article by CBS News, the company has said that it’s being forced to pay individuals who were never affected in any way by the catastrophic oil spill, but instead only watched it on TV. And with the rate at which claims are being approved by Juneau, BP feels like the whole process has been compromised. “In order to restore the integrity of the claims program, the court should replace him,” BP said. This article has been written by Victor Ochieng. If you weren’t directly affected by it touching it by land or sea you don’t collect is how it should be. If not I want my share that I have put in my savings in Bp to. Only fare if every freeloader gets theirs.